I want to make macarons again, so I dug around for a recipe that would get me a bunch of extra egg whites. 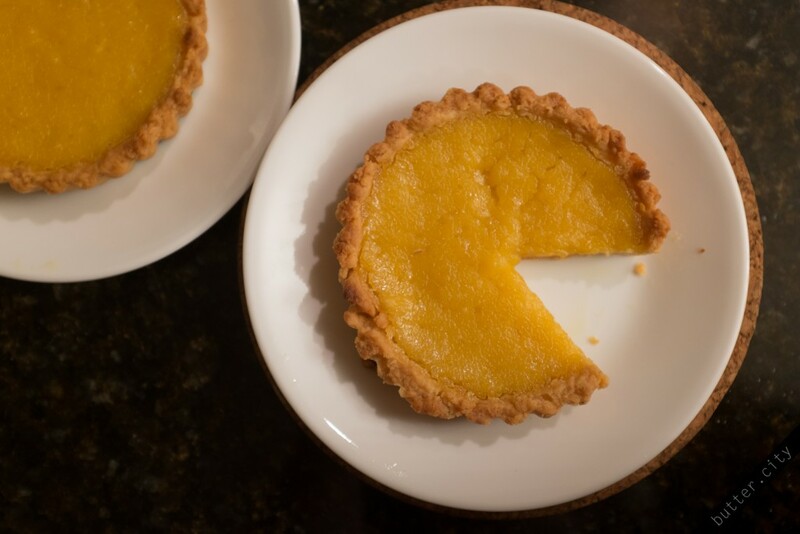 Enter: David Lebovitz’ lemon tarts. Note that these are definitely not lemon bars, which have a sticker, stiffer texture, but more like tarts with a soft, smooth filling. Preheat the oven to 410 deg F. In your oven safe bowl, combine 6 Tbsp unsalted butter, cubed, 1 Tbsp vegetable oil, 3 Tbsp water, 1 Tbsp granulated white sugar and dash salt. 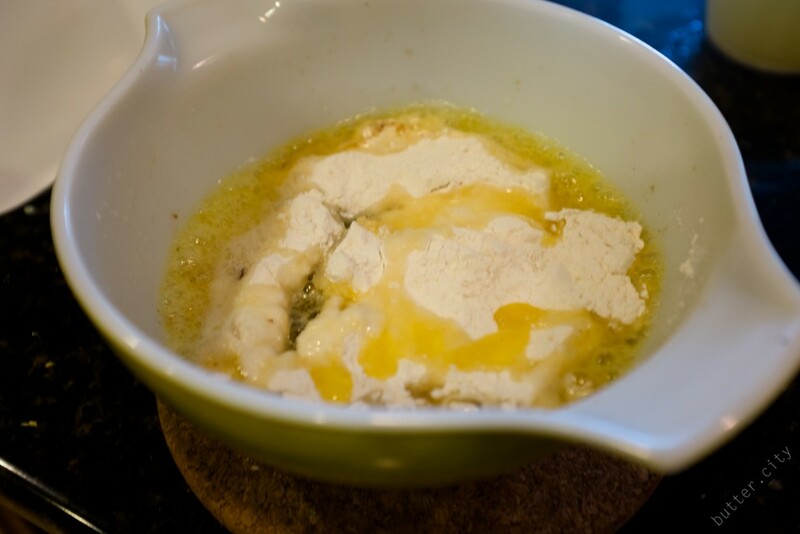 Heat in oven for 15 minutes, until butter is bubbling and brown on the edges. Remove from oven and immediately toss in 1 heaping cup all-purpose flour, loose, then stir with a spatula until fully combined and mixture has a paste-like texture. Let pastry dough cool for a minute, then transfer in thirds to the three tart pans. 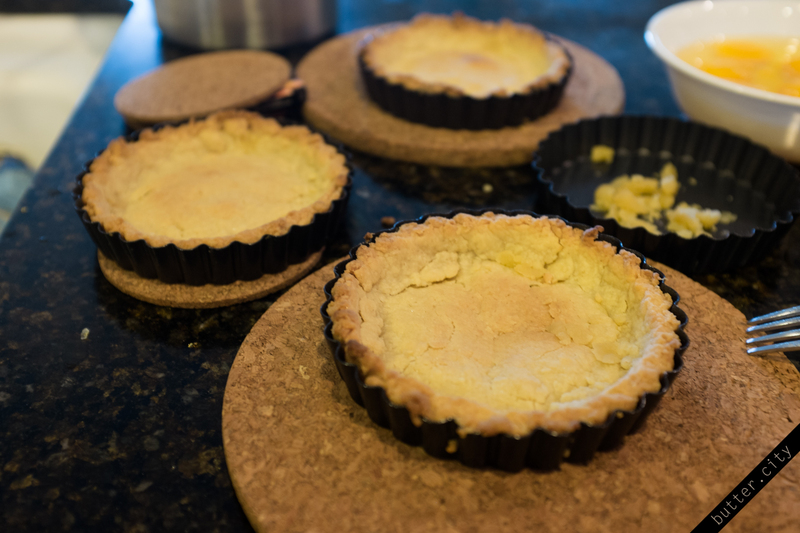 With a gloved hand, press dough into the tart pan, forming an evenly thick crust base and walls. Set any excess dough aside to repair cracks later as needed. 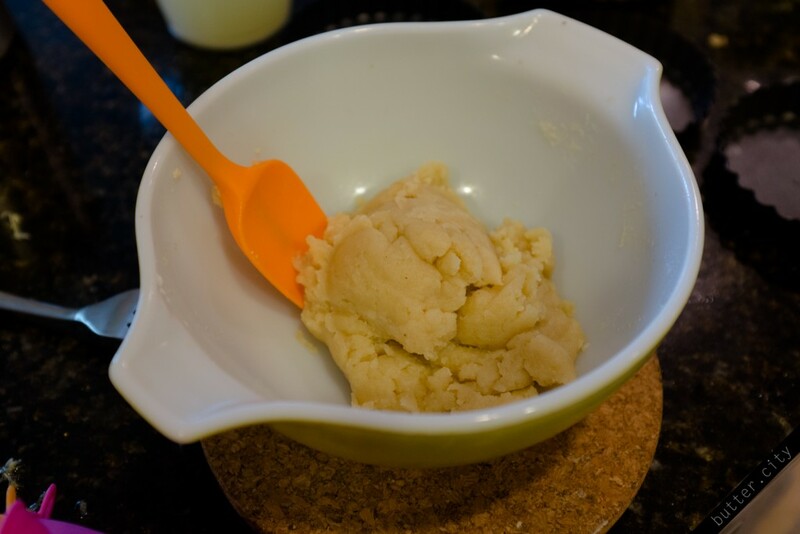 Use the tines of a fork to prick the base of the raw dough in the part pans to prevent bubbling. Bake for 15 minutes, until tart is golden brown. Remove from oven and let cool, and if any cracks surface, patch them with a bit of uncooked dough. No need to re-bake. Let cool fully before filling. 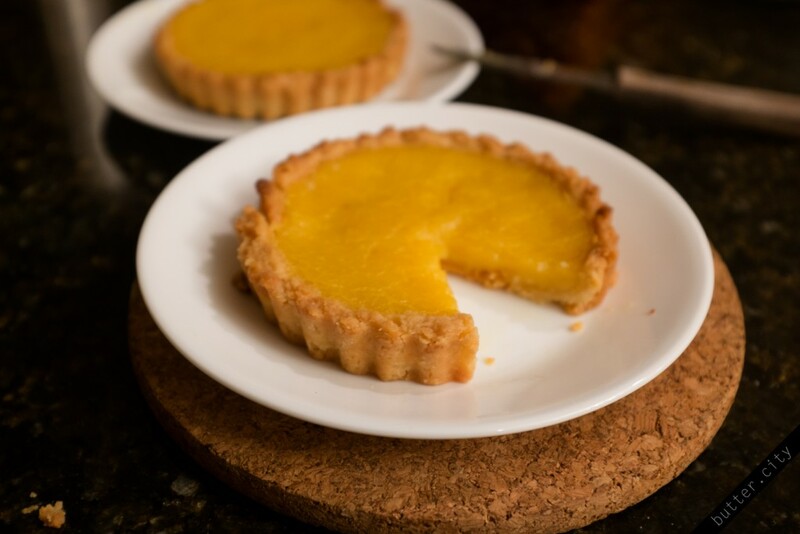 Lemon curd can be started on the stove while tart crust is baking. 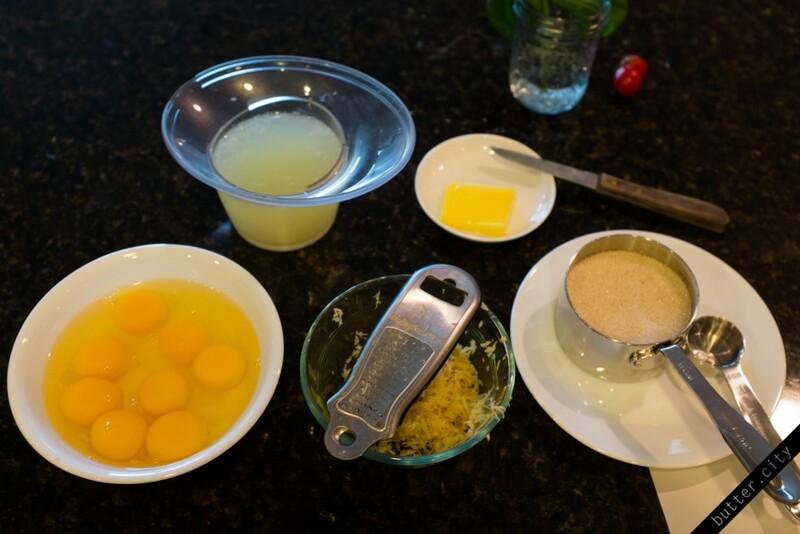 In a medium saucepan, whisk together 1/2 c freshly-squeezed lemon juice, 1 Tbsp lemon zest, 3/8 (6 Tbsp) granulated white sugar, 6 Tbsp unsalted or salted butter, cubed, 2 large eggs and 2 large egg yolks. 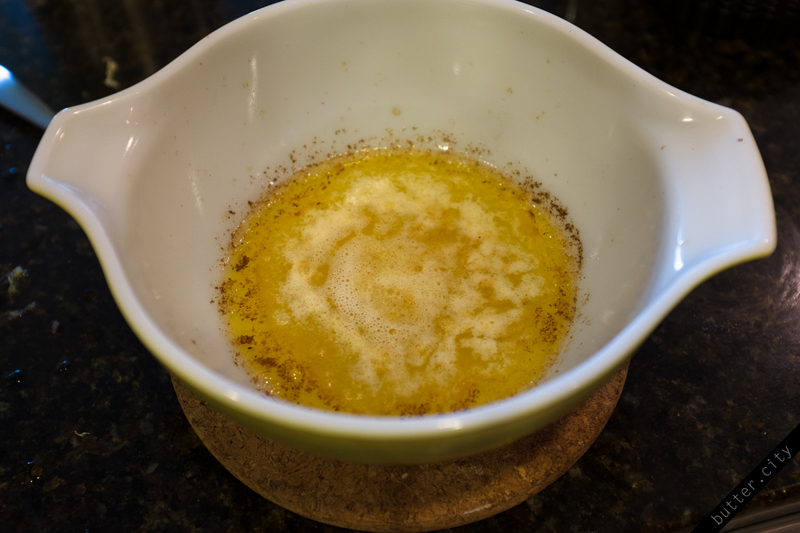 Stir occasionally until butter is fully melted, then whisk continuously until mixture thickens and has the texture of apple sauce. (This took me almost an hour, but my saucepan was definitely too small and the mixture heated much more slowly 🙁 It should only take a few minutes.) 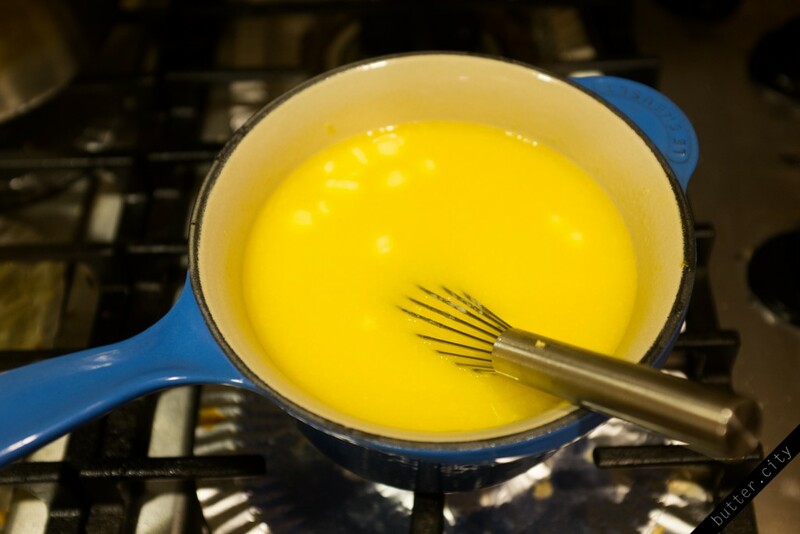 If lemon curd is chunky, pass through a strainer to smooth. Otherwise, pour or scoop directly into pastry tarts. 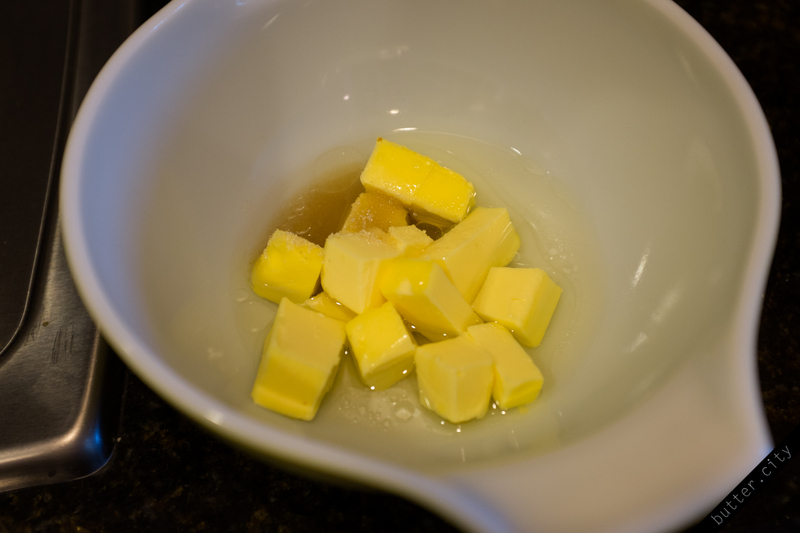 Reduce oven temperature to 350 deg F. Bake tarts for 5 minutes until lemon curd is barely set. Let cool fully to solidify before slicing. Lemon tart is quite tart, so consider topping with sweetened whipped cream to taste.